Fighting ageing with nutrition is not only possible, but also recommended. 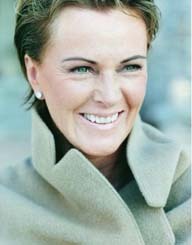 In fact the best ways to fight ageing are absolutely free and does not require expensive therapies, creams or surgery. By following the recommendations in this article, you can reduce the effects of ageing drastically and do wonders to your well being! But before we begin, its good to determine exactly what ageing is. According to wikipedia, ageing is the process of becoming older and represents the accumulation of changes that occur in a human being over time. Ageing has also been defined as the collection of changes that render human beings progressively more likely to die . But what exactly happens that makes us look older, feel older and have less ability to move, think and learn as quickly as when we were younger? In 1961, a scientist by the name of Leonard Hayflick discovered that normal human cells die after about 50 cell divisions in laboratory culture (this was later named the Hayflick Limit of cells) , but why? Living beings age because cells accumulate free radical damage over time. Free radicals are atoms or molecules that have a single unpaired electron. 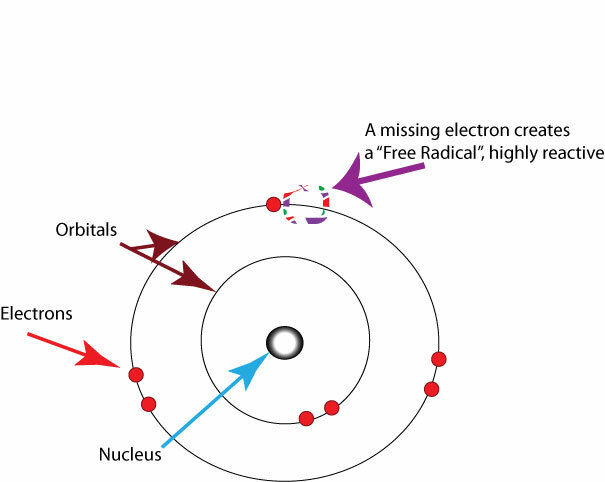 Electrons normally exist in pairs, but free radicals contain only a single electron and are therefore unstable. They go out in search of an extra electron so that all electrons in the atom or molecule will be paired.The free radical often pulls an electron off a neighboring molecule, causing the affected molecule to become a free radical itself. The new free radical can then pull an electron off the next molecule, and a chemical chain reaction of radical production occurs. The free radicals produce damage when they remove an electron from a molecule which becomes changed or cannot function without it. This damage can cause DNA damage. DNA damage can accumulate with age and leads either to death of cells, or a reduction in their function, a characteristic of ageing. But luckily, some cells have the ability to perform DNA repair. Our capacity to repair DNA correlates with lifespan. So what can be done to reduce free radical damage and increase DNA repair? By ensuring we have sufficient antioxidants in our diet we can reduce the loss of function that comes with ageing and improve our lifespan because antioxidants are electron donors. Antioxidants limit oxidative damage to cells and tissues and protect them from free radical damage. Also a calorie-restricted diet has been shown to improve lifespan due to the decrease in free radical damage. For this reason being overweight accelerates ageing. The overweight body is in a chronic inflammatory state leading to progressive free radical damage. The longer one is overweight, the more the free radical damage. The telomere region is found at the end of a strand of DNA. It is like the plastic tips on shoelaces. They keep chromosome ends from unraveling and sticking to each other just as the plastic tips of shoelaces keep the strings from coming apart . During the process of DNA replication, small segments of DNA at each end of the DNA strand (telomeres) are unable to be copied and are lost after each time DNA is duplicated. This leads to telomere shortening. 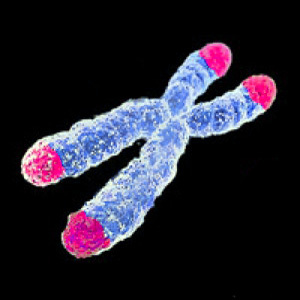 Telomere shortening in humans eventually makes cell division impossible. This ageing of the cell population correlates with the physical properties of ageing of the human body. Telomere shortening also impairs immune function, making us more susceptible to disease. So what can be done to protect our telomeres? Telomerase is an enzyme that replaces the telomeres at the end of the DNA strand and reverses telomere shortening. There’s good evidence that you can protect or even lengthen your telomeres with simple lifestyle changes that support telomerase activity. Telomeres are also affected by chronic inflammation which produces free radical damage. Getting enough vitamin D appears related to longer telomeres as well, probably due to its anti-inflammatory properties. Sufficient nutrients in our diets keep us energetic, lively and more able to ward off disease. We now know that malabsorption of both macronutrients and micronutrients common among the elderly does not have to do with ageing but rather to disease. As we now understand, disease is a factor of lifestyle choices, therefore to reduce the effects of ageing we must care for our health and prevent disease. This must be done through diet. So what can we do to ensure our diet is healthy and rich with nutrients? The simple act of removing empty calories from our diet foods, or reducing them to a minimum, can ensure that every calorie we consume will count. In this way, every calorie you put into your body will provide you with value and help you to ward off disease which escalates the effects of ageing. Fighting ageing with nutrition is not only possible, but also recommended. In fact the best ways to fight ageing are absolutely free and does not require expensive therapies, creams or surgery. Eating a healthy diet rich in antioxidants from fresh fruit and vegetables, eating foods rich in fiber especially whole grains, reducing inflammatory promoting foods from your diet, performing daily light continuous exercise, getting some sunlight and meditating will reduce the effects of ageing drastically and will do wonders to your well being! Don’t wait for tomorrow. Incorporate these healthy tips into your lifestyle today and start feeling better than ever. Medawar, P. B. (1952). An Unsolved Problem of Biology. H. K. Lewis, London. Hayflick L, Moorhead PS. “The serial cultivation of human diploid cell strains”. Exp Cell Res. 1961; 25 (3): 585–621. doi:10.1016/0014-4827(61)90192-6. PMID 13905658. Hekimi S, Lapointe J, Wen Y. Taking a “good” look at free radicals in the aging process. Trends In Cell Biology. 2011;21(10) 569-76. Hang Cui, Yahui Kong, Hong Zhang “Oxidative Stress, Mitochondrial Dysfunction, and Aging” “Journal of Signal Transduction, 2011. Epel, ES; Lin, J; Dhabhar, FS; Wolkowitz, OM; Puterman, E; Karan, L; Blackburn, EH. “Dynamics of telomerase activity in response to acute psychological stress”. Brain Behav Immun; 2010; 24 (4): 531–9. doi:10.1016/j.bbi.2009.11.018. PMC 2856774. PMID 20018236. Jacobs TL, et al. “Intensive meditation training, immune cell telomerase activity, and psychological mediators.”. nih.gov. Susanne A. Wolf, Andre Melnik, Gerd Kempermann. Physical exercise increases adult neurogenesis and telomerase activity, and improves behavioral deficits in a mouse model of schizophrenia Brain, Behavior, and Immunity, Brain Behav Immun. 2011;25(5):971-80. doi: 10.1016/j.bbi.2010.10.014. Cassidy A, De Vivo I, Liu Y, et al. Associations between diet, lifestyle factors, and telomere length in women. The American Journal of Clinical Nutrition. 2010;91(5):1273-1280. doi:10.3945/ajcn.2009.28947. Sun Q, Shi L, Prescott J, Chiuve SE, Hu FB, De Vivo I, Stampfer MJ, Franks PW, Manson JE, Rexrode KM. Healthy lifestyle and leukocyte telomere length in U.S. women. PLoS One. 2012;7(5):e38374. doi: 10.1371/journal.pone.0038374. Epub 2012 May 31.